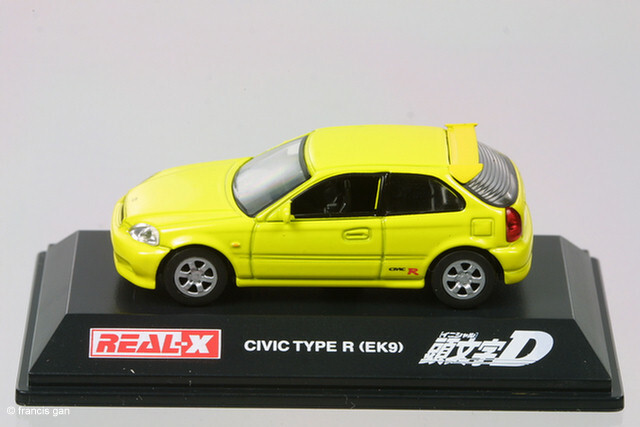 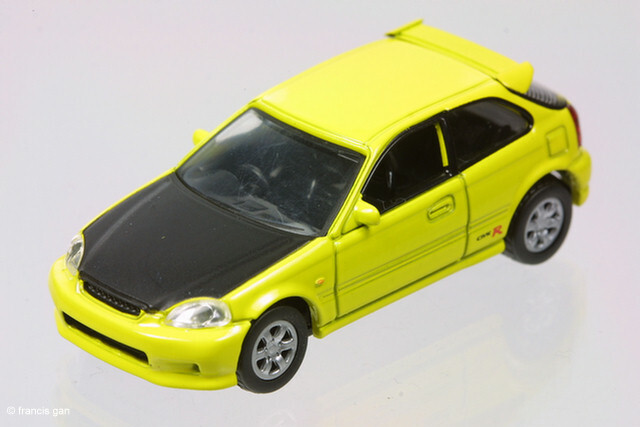 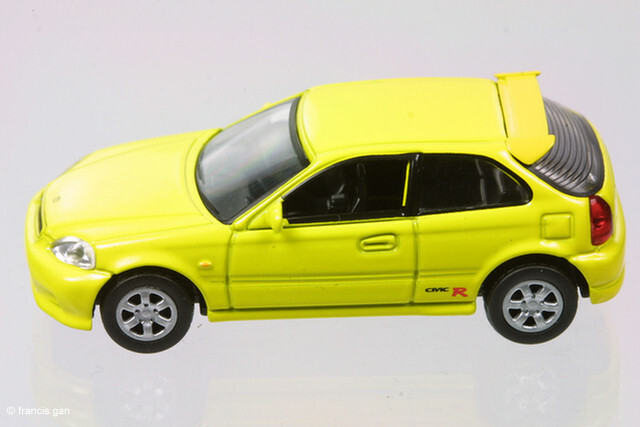 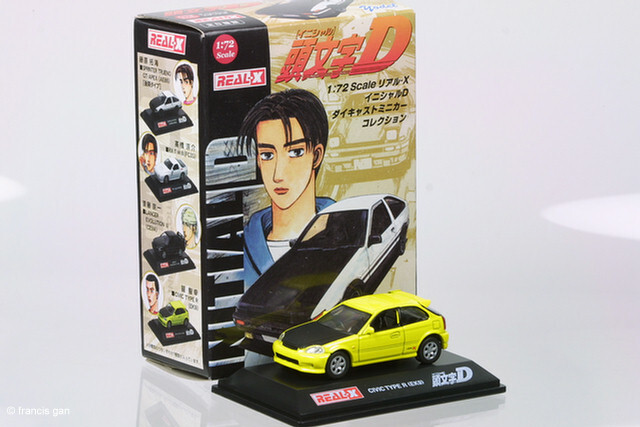 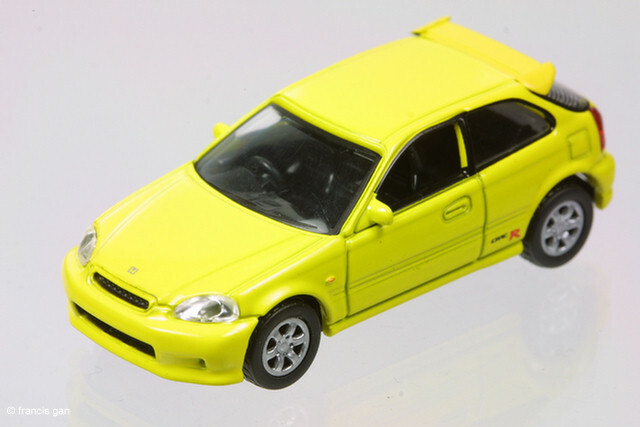 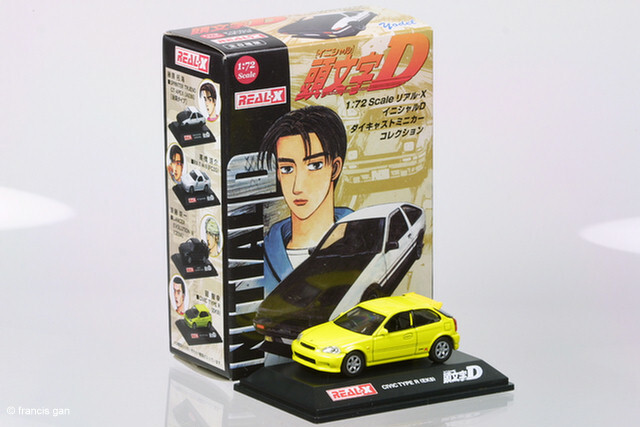 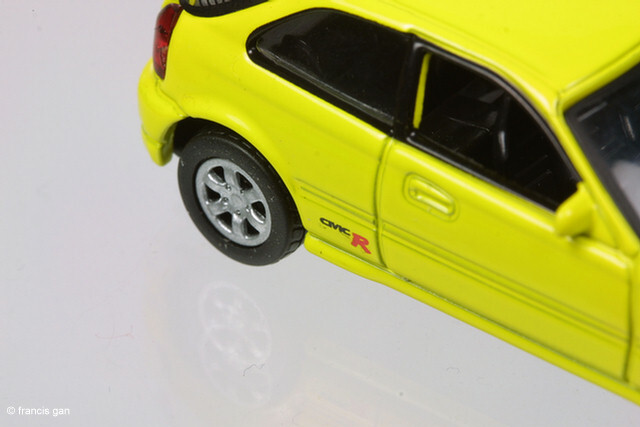 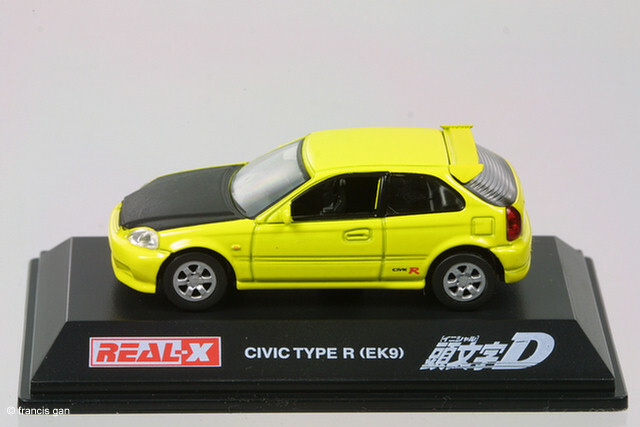 Epoch released the Real-X branded Civic Hatchback as part of the Initial D series. 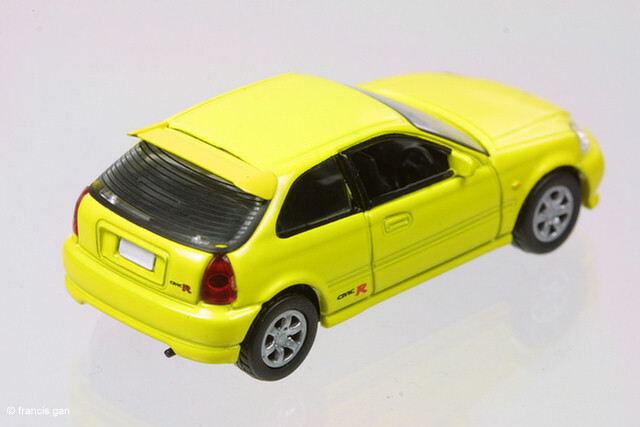 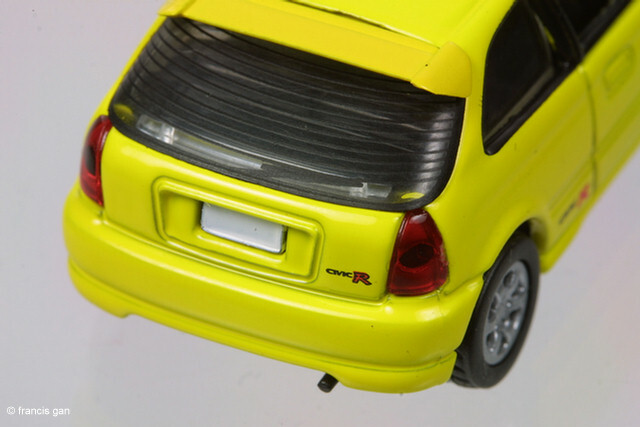 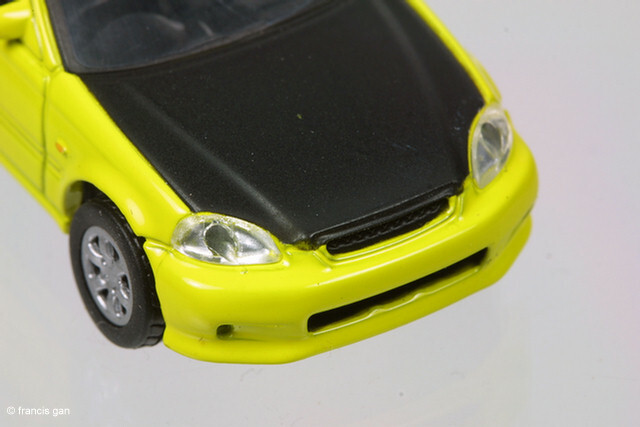 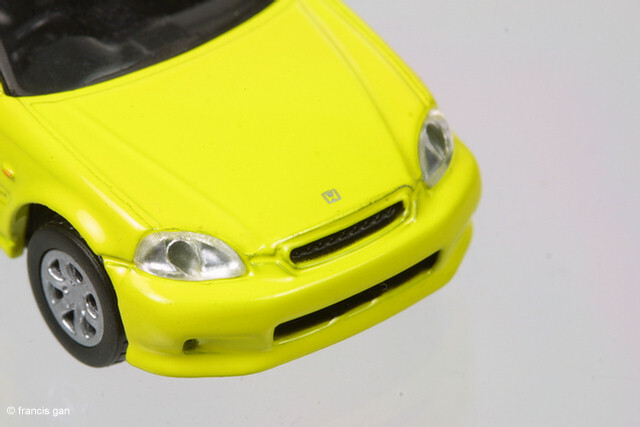 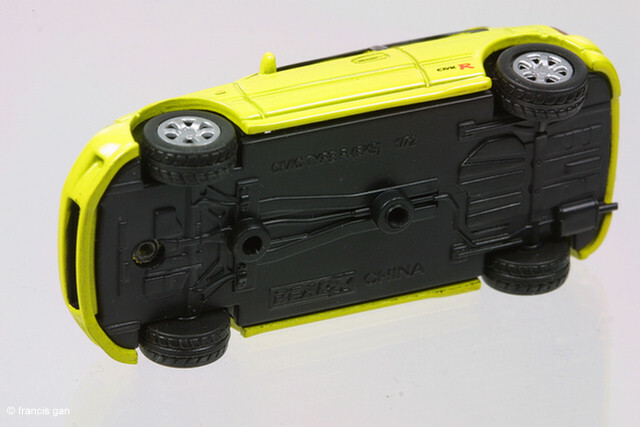 In 1:64 the cars have reasonable detail though not as good as the Konamis. 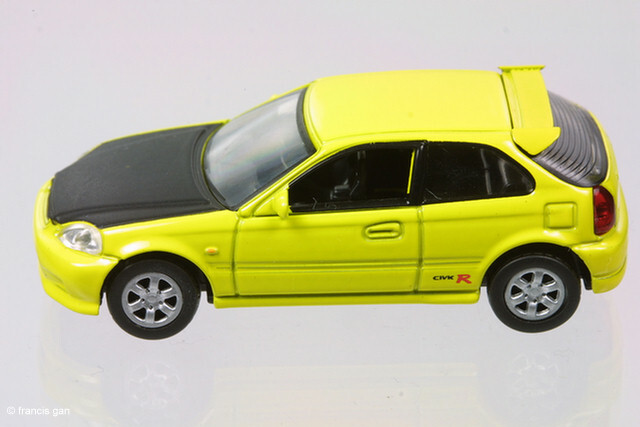 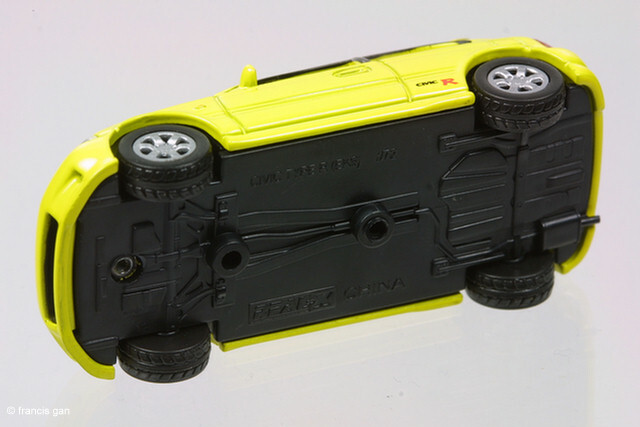 There were two variations in this release - one regular colored yellow version and another with a black hood.